This is a great craft project - ensuring you have loads of fun even after the project is completed! Rhythm sticks are a great way to spend some time outdoors and have fun whilst developing your rhythm and hand-eye coordination! 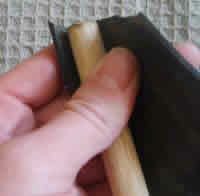 Follow our easy step by step instructions and make your own recycled rubber rhythm sticks! 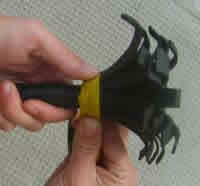 Cut your rubber or tire tube into 2 pieces that are 50cm long and 6cm wide - these are for the hand pieces. 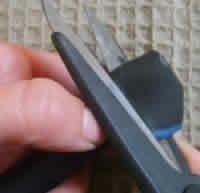 Cut 1 piece 65cm long and 6cm wide - this is for the longer stick. Cut 2 pieces that are 30cm long and 8cm wide, this will be for the end pieces on the longer stick. 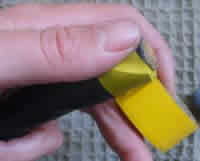 Use your thumb to hold down the stick onto the rubber, and the other hand to tightly wrap it around the length of the sticks. Cut the excess rubber off at the top of the stick. 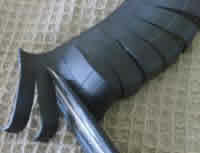 Tightly wrap insulation tape at both ends of all your sticks to keep the rubber in place. This is what your three sticks should look like when you are done. 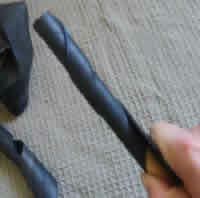 Cut your two 30cm long and 8cm wide pieces of rubber or tire tube as shown in the pic below. Attach the pieces from Step 7 to the ends of the longer stick. And there you have it, your very own handmade rhythm sticks are ready for play!